A good quality feed pellet is a must to get the fish in your swim actively searching for food. As the name suggests our 'Premium' version, available in 2mm, 4mm, 6mm and 8mm, are made with top quality ingredients including the number one feed enhancer, betaine. These fishmeal pellets boast consistency in shape and size with high attraction and quick breakdown rates which means they fit the bill in all coarse/match fishing situations. 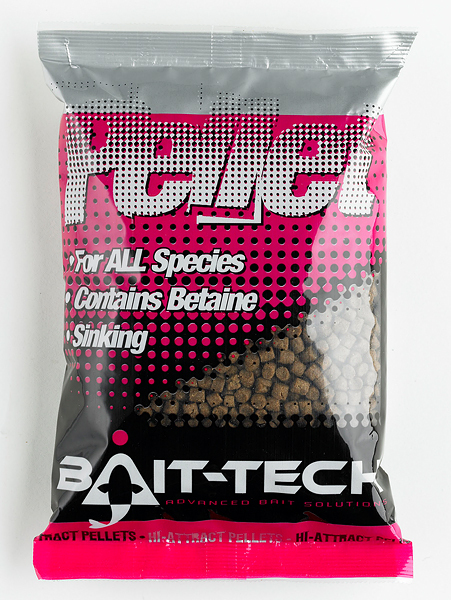 All of the pellets sink straight from the bag and can be used dry, or pre-soaked for moulding around a Method feeder, packed inside an open end feeder, pellet feeder or moulded into balls for feeding in deep water.